Can you picture Archie Bunker or Pete, Goofy’s neighbor, saying, “I brought you into this world and I can take you out of this world!”? This would have been said in order to intimidate. Paul says, “We brought nothing into the world and we can take nothing out of it.” In order to have us imitate our Lord. Yet, more than likely, we tend to act like the scoundrel in Luke’s parable. The one in chapter 16 who was about to get fired from his job because he had been cheating his boss; then just before the proverbial axe fell he renegotiated the debts of all his masters debtors so that he might gain pleasure with them and protection for himself. At least one truth to be told in this parable is that, by nature we are inclined to do just about anything to take care of ourselves even if it means causing pain to others. Not so with our God, He acts on His own - in order to take care of us, at tremendous cost and pain to himself, He does the only thing that can be done; and He is the only one who can do such. In Jesus, God pays our debt. Not gold or silver at that, but the holy, precious blood of Jesus and His innocent suffering and death. Those words were not written about Timothy alone! You too, by grace through faith, belong to God! If we belong to God, what does that say about that which “belongs” to us? It’s His…all His! In our “Blueprint” here at Bethany we’ve set Giving Proportionately as a core value among us. When we return to God a first fruit gift, off the top, from that with which we start upon payday rather than that which we have left at the end of the week, we are confessing that it is His, all His; and is there any better way to imitate Him who gave everything for us and the world, “into which we brought nothing and from which we can take nothing.”? I think I could write a novel on what we found in Isaiah this week. 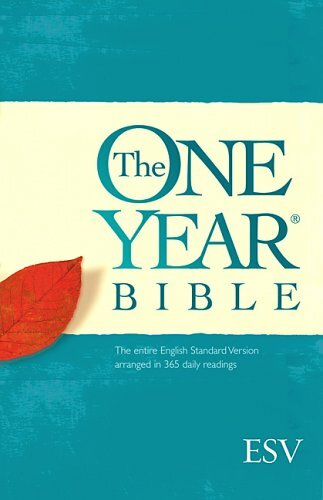 I think I told you that I am putting a star in the margin of my Bible each time I read “The Holy One Of Israel”. Remember that this is a term that points to the coming Messiah, Jesus. One thing to keep in mind is that you need to remember who the “I” is in some of these passages. Sometimes it is Yahweh, other times it is Isaiah. Make sure you know who is talking. This will go far in helping you understand some of the significance of the passage. Some general thoughts; we have entered the second part of the book of Isaiah and we will start to see much more of a prophetic message. Isaiah’s audience has changed from the people living in the Promised Land, to the exiles living in captivity. Here we see a message of hope and promise. 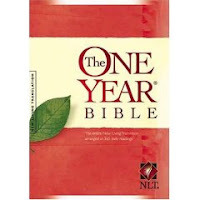 Chapter 40 begins the new section with such a message, “Comfort, comfort my people says your God” (Isaiah 40:1 NIV). The people are in need of comfort because of what has happened. The people have been exiled. They are living in a foreign land and they need to hear the comforting words of their God. Chapter 40 gives a hope filled message and ends with a verse near and dear to my heart, “But those who hope in the LORD will renew their strength. They will soar on wings like eagles; they will run and not grow weary, they will walk and not be faint.” (Isaiah 40:31 NIV). This verse is my confirmation verse given to me by my father. It has been a source of comfort and hope for me for most of my life. I know that God is right there beside me giving me the strength I need to do his will. He promises to be with me when all other things seem to go wrong. Chapter 41 continues this same theme. Some of the most controversial parts of the book of Isaiah come from the sections where he mentions a character named Cyrus. He is called a shepherd, and one who will fulfill the purpose of God. He is also called an ally of God. Some translations use the Hebrew word Messiah to describe him. Cyrus was not a follower of Yahweh, he was the king of Persia, and a Gentile. He was used by God to bring the remnant back to the Jerusalem. Many believe that this name was inserted in later years to make Isaiah look good. There is no proof of this, and we should be careful to say that God was not the one who inspired Isaiah to write about this king. Many years later it would come to pass that King Cyrus would issue a decree that would allow many Jews to return to Jerusalem and rebuild the city and more importantly the temple. Isaiah also spends much time on the topic of monotheism. There are so many references to the Messiah in Isaiah it is hard to mention them all. Keep on looking for things that seem familiar to the life of Christ. PURPOSE: To call Judah to repentance, announce the Babylonian exile, and prophecy the new covenant. LAW THEMES: The nations plucked up, broken down, destroyed, and overthrown; punishment of Judah by sword, famine and pestilence; faithless shepherds; turn in repentance; forsaking the Lord and His covenant; idolatry; Judah cursed like Sodom. GOSPEL THEMES: The nations built and planted; healing; the Lord will relent; the remnant will return; a righteous branch to sit on David’s throne; new covenant; new hearts; God’s steadfast love and mercy; judgment of nations. LAW THEMES: Suffering, uncertainty, and physical sacrifice; rivalry over the Gospel; growth in humility and right-mindedness. GOSPEL THEMES: Joy in Christ; Jesus’ exaltation after the cross; righteousness through faith in Christ; heavenly citizenship. LAW THEMES: Threat of false teaching and self-made religion; Satan’s domain; struggle to fulfill God’s calling; God’s coming wrath; the old self; admonish one another; God’s order for families and labor. GOSPEL THEMES: Gospel growth; the Son’s kingdom and reign; mystery: Christ dwells in you; Baptism, the new circumcision; the new self; the Lord’s inheritance. If Seinfeld is not your thing perhaps you remember the many, many times that Lucille Ball made her way to the club to dance on stage with Ricky and the band. Quite often Lucy was one step behind and woefully off from the others on stage eyes fixed on the others trying to follow along. Or, maybe you have seen the funny clips online of a dance or cheer routine where one member, usually in the back, has their eyes glued to one in the front searching desperately for someone to follow, and usually not doing well. You might be a great dancer, but I would bet that there is some skill or activity you wish you possessed that you need someone to lead and you could just follow. Perhaps it is singing or parenting. It could be drawing or even cooking. The same could be said about our life of faith. Last week Pastor Kevin began our new series titled, “Follow the leader…Lead the follower,” and today we are going to talk about prayer. Few are the followers of Jesus who would claim they are good at prayer. I know sitting in the pews this morning there are passionate prayer warriors, but there are many who struggle to pray. A recent Pew Research study showed that close to 60% of Americans pray at least once a day. Depending on how you look at it, that is either encouraging, or discouraging. The biggest struggle many have when it comes to prayer is not being sure how to pray. Our text reminds us that prayer should be a part of every believer’s life. The words used here are not mutually exclusive but each have a special emphasis when it comes to prayer. Let’s take a look at each one. First, we can make petitions or requests to God in prayer. We lay before God our needs. Yes, God already knows our needs but we acknowledge Him as the one who alone can satisfy them. The word translated as “prayers” is the most general of the four but prominent in this word is the element of devotion and reverence as we approach the Lord in prayer. Third, intercessions include those things we boldly and confidently bring before God for the sake of others. Finally, thanksgiving needs almost no explanation but perhaps has been lost in recent times. I remember a time in my life when we not only began each meal in prayer, but we ended the meal as well by returning thanks to God for His gracious provision. It is interesting to note that Paul not only encourages prayer for personal things but for others, and he does not limit who we are to pray for by saying “all people.” This includes those we might disagree with, those who are not believers and even those who are enemies of the Church. Through the power of prayer, many will be saved and learn the truth. First takeaway — We are called to pray for all people. When you walk into a church you enter a place of worship. When you bow your head or fold your hands you engage in an act of worship. Prayer is an act of worship. It is something done within the context of a relationship with Christ at the center. Another recent study on prayer asked the question, “Where do you pray most often?” The answers were interesting to me. Only 4.4% of people said they pray most often in a house of worship. Other places that were mentioned were: While traveling—9.8%, at work—3.8% and by far the most common place for people to pray most often was, at home—79.5%. The second take away for this morning — Prayer is not limited to a location. Your car or your classroom, your dining room or deck can be a house of prayer. OK, pastor this is all well and good but we still haven’t talked about the struggles that people face in prayer. Well, that will be our third take away for this morning and it leads right into our theme—Follow the leader… in prayer. God invites you to communicate with Him just as you would communicate with a friend or family member who loves you and cares about you. You wouldn't only call that person when you want something from them. You call to thank them, to compliment them, to share your joys, your sorrows, and your life-and to share theirs. The same is true of our prayer life with God. Many people struggle with prayer by simply giving it over to others. Letting the professionals handle the tough stuff. I have been asked on many occasions to pray for someone and of course I will, with the help of God, hold that person or request in prayer, but Scripture is clear, your pastor is not your mediator. Sorry to burst your bubble, my prayers are not a hot line to heaven; they are not heard by God before others or with more emphasis. There is only one mediator and His name is Jesus. You can come to Him in prayer directly. And you can also follow His lead for all are called to pray. Jesus led by example. He prayed for Himself and for others. Jesus also led in words. When the disciples asked, “Lord, teach us to pray,” (Luke 11:1b) He gave them the words known today as the Lord’s Prayer. If you are wondering how to pray, this is a great start. Using the word’s taught by Jesus we can be bold in trusting these words in prayer. We can follow our Leader, Jesus in prayer. We can use the words He taught us to begin a prayer life. Each phrase is packed with powerful words from Christ himself and can guide your own prayer life. Let’s take a look at each petition. Our Father who art in heaven: We approach God as a good and faithful Father who loves us and seeks for us to be in a relationship with Him. God is good. He promises to show His goodness in our lives. Hallowed be Thy Name: God's Name is holy. We, as His servants, want to honor His holiness and show the holiness of His Name in all we say, think and do. Thy kingdom come: In addition to eagerly wanting Jesus to come back and restore all things, we pray that God's work is active in our lives. We want Him to prevail with His blessing, His truth, and His mission. We also pray that our lives show what God's kind, gracious and righteous ways are all about to the world around us. God's goals and desires for our lives and for the world. Give us this day our daily bread: Jesus lets us know we can ask God to supply our daily needs. He cares about us to provide for us. No concern is too small for our faithful God. And forgive us our trespasses as we forgive those who trespass against us: We depend on God for the forgiveness of our sins. We also ask that His forgiveness flow through us to others in our lives. We are asking that God's spirit of grace and compassion takes hold in our relationships. And lead us not into temptation, but deliver us from evil: God doesn't tempt us, but He sometimes permits us to go through difficult times to teach us to rely on Him and not ourselves or others. Satan uses those same situations to tempt us to doubt our Father's love, and turn away from Him and His will for us. We pray that He keeps us from everything that would lead us away from His will. We also pray He would protect us and our loved ones from all evil and harm. When we ask God to be with us, to abide with us - He promises to come. When He comes He brings with Him grace and mercy and love and forgiveness. It is the grace and mercy of God displayed on the cross that restores our relationship with God and is what makes prayer possible. As Jesus died and rose again we have been restored, forgiven and renewed. In that newness of life we can pray. When we struggle with prayer we can follow the leader as He leads His followers in prayer, and in turn we can lead others to follow the leader Jesus Christ. All are called to follow THE Leader (Jesus); all who do, lead followers! + Sometimes that leading is done intentionally and actively with those we have a relationship with. + Sometimes that leading is done unknowingly with those of whom we are unaware. + Sometimes that leading is done by example others see from a distance which we had no idea would make an impact. + Sometimes that leading is done from direct actions intended for a purpose. Yet, without exception, you can be sure that as one who follows THE Leader, you are one who leads followers.